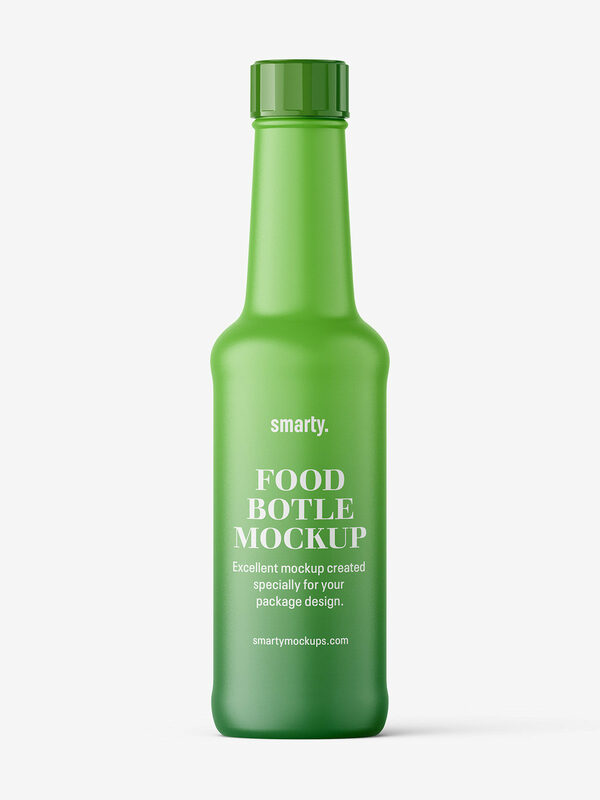 Universal food bottle mockup made in high resolution. You can paste your own project and set cap color. Mockup is easy to use and modify.